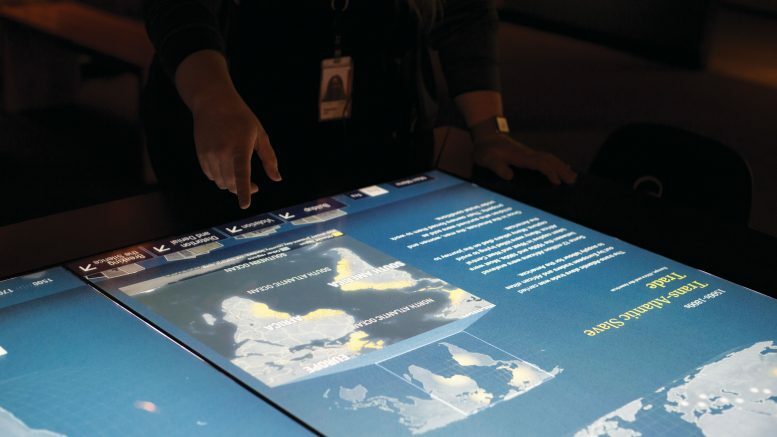 A museum interpreter explains the Trans-Atlantic Slave Trade using an interactive map as part of the Canadian Museum for Human Rights mini talks series during Black History Month. 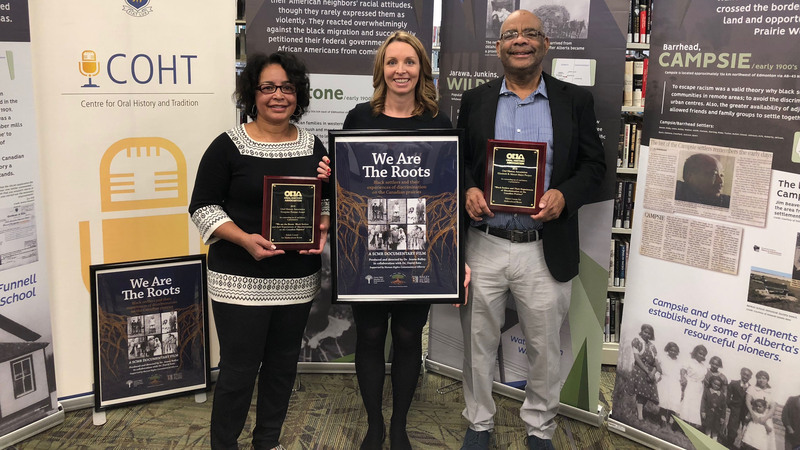 The Canadian Museum for Human Rights (CMHR) organized several mini-talks covering a range of topics every Saturday through February to mark Black History Month. 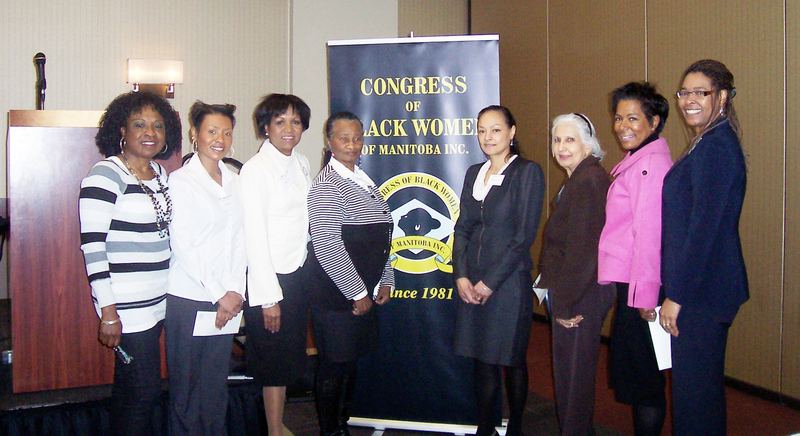 The talks mainly focused on three areas: the Trans-Atlantic Slave Trade, the Underground Railroad, and the story of Viola Desmond – an entrepreneur and community leader who challenged segregation in a Nova Scotia theatre in 1946. In 2018 she will become the first Canadian woman to appear on a banknote. Held on several levels of the gallery, the talks gave visitors the opportunity to choose from sessions of interest and become familiarized with BHM. Angela Cassie, CMHR vice-president of public affairs and programs, said the talks gave visitors the chance to “gain deeper understanding and deeper knowledge” of the human rights issues faced by Black people in Canada. “I think that very often, in the Canadian context, we’re not aware of Canada’s own history as it relates to slavery and segregation,” she said. Cassie said Black history is significant for all Canadians, not just those with African descent. “These are human rights stories and they’re significant to people of African descent, but they’re also significant to all Canadians because it’s part of our shared history and it represents, at times, very dark chapters but we need to be aware of this context,” she said. She said that while the event last year was met with positive feedback, it became evident that not many in attendance were knowledgeable on Black history. She said CMHR will be hosting an exhibition on Nelson Mandela this summer to keep the conversation going.